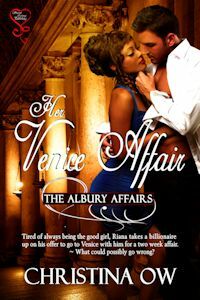 Do you want to preorder book #2 of the Albury Affairs series? If you haven’t gotten your hands on this book yet, here is the Amazon link, these reviews will help you decide and I bet you’re going to buy it once you read them, then love it once you read it and leave your own review to entice other readers and your friends. I know most of you would like to preorder the second book in the Albury Affairs series, but I’m not sure it can be done this early (i’ll ask the publisher and let you know) as His Bahamas Affair has a February 2014 release date. So I’m going to do something as good. If you are interested in getting a reminder to buy the second book, leave your email address here by commenting and I’ll email you personally on the date it drops. And to those who asked, yes His Bahamas Affair features Reno and Loraine but their love story isn’t as instant as Riana and Allan’s. They go through a number of tests and trials before they get to the I Love You part. Blurb: After his joke of a marriage came to an end when his wife ran off with a guest from his resort, Reno Albury decides one night stands are more his speed- especially if they were blonde and blue eyed like his wife. So he was jaded, at least he was having some fun. Until he came face to face with a blonde and blue eyed girl at his sister’s wedding he couldn’t play the fast game with. Stay tuned for the cover reveal of my first ever Regency romance book, #1 of the Slave Bound Series, Trial of Love and of course #2 of the Albury Affairs Series His Bahamas Affair.